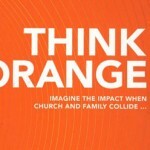 In Think Orange, Joiner makes the case for churches and families to join together to lead their children spiritually, then continues in the text to give various methodologies and strategies for forming an “Orange” merger of the church with the family for a more powerful ministry to kids (10-11). This book headlines the current drive in churches to prioritize encouraging and equipping families for ministry. It’s a must-read for any age-graded or family minister, and chapters three and four excellently capture and develop the heart of the movement. Outside of chapters three and four, the text itself is wordy, wandering, abstracted by unnecessary metaphors, and burdened by overly complex strategies. There may well be readers that prefer Joiner’s style, but I found it distracting and disjointed. Reggie Joiner was the primary family ministry leader at North Point Community Church from its founding and for many years, where he became convinced of the importance of the church’s mission to reach not just kids, but to help lead parents in reaching their kids (10-11). He took his efforts and the things he learned and formed the rethink Group, a nonprofit dedicated to helping churches reach families and the coming generations (back cover). A core product of his group has been this text, Think Orange: Imagine the Impact When Church and Family Collide…, and the conferences and resources that have grown out of it. 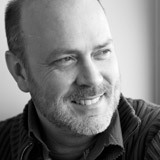 In Think Orange, Joiner makes the case for churches and families to work together to lead their children spiritually, then continues in the text to give various methodologies and strategies for forming an “Orange” merger of the church with the family for a more powerful ministry to kids (10-11). I am always nervous when the author of a book begins with a disclaimer. This book, in particular, begins with a two-page disclaimer in which Joiner freely admits that he may well even not agree with his own text. He states his intention to “continue a conversation” and have a “thoughtful dialogue” (16-17). I am in favor of humility and the willingness to debate or concede a mistake – but often these sorts of disclaimers and statements accompany a text that is more interested in freely flinging ideas than concision, clarity, or practical applicability. This often proves to be the case with Joiner’s Orange. I love his premise that the church has to partner with the home to have the maximum impact on kids for Christ. I agree that the parents are the primary faith influencers of their children, and that the church’s best plan is to equip and encourage parents in that task. But the text itself is wordy, wandering, abstracted by unnecessary metaphors, and overburdened by an abundance of complex ideas. There may well be readers that enjoy Joiner’s writing style, but I had a hard time sticking with it as he waded deeper into his ideas. An example is found in the title and its logic. Joiner wants us to “think Orange” because orange represents the conflation of the church and the family for maximum effect. How does a color do that? His first chapter begins with an ode to the color orange, its attractiveness and usefulness as a color – and it’s composition as the combined efforts of red and yellow. This is his metaphor – that combined forces are more effective than separate entities (22-23). He gives real world examples of groups and ideas combining for a greater effect, and calls it the “Orange effect.” The rest of the chapter goes on to promote that the church and the family must work together to be more effective (except that he doesn’t quite get into why that’s the case yet, but instead sticks with generalities that the church is ineffective as it is and that if it’s not Orange it’s missing out on a revolutionary opportunity). He concludes with a story about “Orange Babies,” a group that gives life-saving drugs to children to convince the reader of the dire need for change for the sake of children (26-27). But is all that abstraction and illustration needed or even helpful? What has he said in just this first chapter? He has said that two forces working in partnership are more effective than on their own, and that the church has an opportunity to partner with the family to be more effective in ministering to children. Why say in one abstract chapter what could be said in one clear statement? This sounds great at first – and is the rallying cry for many believers that are sick of denominations, as Joiner seems to be. It is, unfortunately though, both faulty logic and reflects a poor understanding of what constitutes a relationship with God. Logically, you could rephrase that quote, “Even if we have different views on murdering people in their sleep, we should all agree about this statement: One hundred years from now the only thing that will matter is someone’s relationship with God.” The fact is, our present actions and obedience don’t stop mattering just because we are believers and will someday die and go to heaven. A person’s relationship with God is affected not just by sentiment, but by obedience. In John 14:21 Jesus says, “He who has My commandments and keeps them is the one that loves Me, and He who loves Me will be loved by My Father, and I will love him and will disclose Myself to him.” As a Baptist, I see our denominational distinctives not as a matter of style or preference, but as a matter of obedience. Our relationship with God is reflected in our obedience, and Jesus commanded “Go therefore and make disciples, baptizing them… and teaching them to obey all that I have commanded you…” God commands us to baptize those who become disciples – not infants who are unable to make that choice. And the case is clear that baptism, in Jesus’ time, was by immersion. Joiner’s dismissal of obedience as trivial was a frustrating and unnecessary part of this chapter – and I think the book would be better without the chapter altogether. With a welcome straight-forward style, Chapter Three, “Warm Hearts,” speaks of the biblical importance of the family, the opportunity for parents to grow in their abilities to lead the family in a Godly way (46-47), and the possibility that God uses the family as a picture of the amazing work He can accomplish through an imperfect medium (47-49). An interlude from chapter three to four, “The Essence of Family,” walks through Deuteronomy 6 to talk about how God wants to work in families. He explains five “family values” from the text: “Imagine The End”, “Fight For The Heart”, “Make It Personal”, “Create A Rhythm”, and “Widen The Circle”. These values are valid and valuable, and are some of Joiner’s best thought out and most applicable ideas in the book. In Chapter Four, Joiner recaps the highlights (he covers them well and concisely here, rendering chapters one and two unnecessary) and begins to frame some strategic ideas for creating an “orange” ministry. He notes children’s need of parents’ spiritual leadership (84), the parents’ vastly superior ability to track a child’s spiritual walk (85), the parents’ significantly greater amount of time spent with a child (3,000 hours compared to 40 hours in the church) (85), and the parents’ need of the church for information and guidance (86-89). He concludes clearly that churches need to spend less time programming for their 40 hours with the children, and more time planning and implementing a preparation and training system for parents (91-94). Chapters three and four are, ultimately, the saving grace of Think Orange, and the attraction of the movement as a whole. The continuing chapters of the book take the excellent principles of three and four and try to develop and apply practice, methodology, and strategy. I think a major difficulty of the text is that in tackling the merger between church and family, Joiner decided it was necessary to give direction about every aspect of each. So, in trying to canvass the enormous scope he has left himself, the book simply tries to do too much in its remaining chapters. While there are a lot of good ideas nested in these chapters, much of this supporting material and strategy is overly complicated, ill-supported, generalistic, disconnected from the point of the text, or even elitist. His use of Scripture is often taken hostage by a pre-determined goal, so that he uses text to support a point that, while not antithetical to Scripture, is consistently skewed from the main purpose of the passages. For example, as he discusses “Action Verbs for Age-Group Volunteers,” (an relatively unrelated topic to his thesis of partnering with parents) he uses the word “EMBRACE” to frame his preschool volunteers’ purposes in their ministry. Do volunteers really need a “key word” to frame their ministry – does every aspect of ministry need levels of words, strategy, and models? To illustrate “EMBRACE,” Joiner then tells the story of Mephibosheth and David to illustrate that “we don’t want children to grow up not knowing that God wants to be their friend. The goal of every preschool leader is to help young children start their lives embracing the wonder of a heavenly Father’s love” (240). While I can see how he got where he did, it certainly seems indirect and an odd use of Scripture. This certainly isn’t the only way to do family ministry. Some people prefer a different game altogether, playing by different rules. In their game, there is no string. There is no real system. Everyone is fighting for the same space. Everyone takes a turn to knock everyone else out of their territory. Everyone is positioned arbitrarily. The game is called playing marbles. And it has no rhythm. Instead of giving energy to each other, they drain it from one another and end up scattered (179). I have no problem with authors presenting ministry models that they think are better than a traditional approach, or even comparing with a worst-case scenario—but the type of elitism which says “my new model is the only valid model that has any effectiveness at all,” is an unacceptably arrogant position. In short, Reggie Joiner’s Think Orange has an excellent premise, and I could unwaveringly recommend chapters three and four as the overarching theme of the family discipleship movement. The rest of the text, however, is a harder read that demands discernment, patience, and an ability to pick out the gems from the rest. When our church purchased and implemented the Orange material for our children, a few years back, my husband and I knew immediately something was terribly wrong. 1) the focus moved from God to the child. 2) the lessons no longer included stories of old…David and Goliath, Jonah, Noah, etc. 3) the material was busy and presented in a very worldly framework. Our leadership thought it was a good idea for me to attended one of Joiner’s Think Orange conferences. So I did. I was absolutely shocked at how openly he toss out sound biblical teaching and no one objected. He first held up several photos represented biblical families like Adam & Eve, Noah, and David and explained that none of these offered us a good example of how to “do family” well. Once he explained the bad things displayed in those stories he literally tossed them off the stage. He obviously missed their immeasurable value and the reason God included them in the cannon of scriptures. They simply didn’t fit in his idea of how the church should operate…so he just tossed them away. He continued his demonstration by making two stacks of books on a table. One stack representing the Bible and godly teaching and the other stack representing worldly knowledge. Saying “we believe the Bible is true” but “we also believe everything about the world is not in the Bible”…justifying our need for secular knowledge and teaching. After he made these comparative stacks, he then took every book from the biblical side starting with the Bible and explained why we should not esteem the Bible too highly…and then tossed it in a trunk strategically placed on the stage. He then did the same with every book that represented biblical knowledge…tossing them all in the trunk. He then slammed the lid. Twice while he was making this demonstration he asked that we not quote him out of context. That’s a fair request. But I was utterly shocked that he, in his next demonstration, did that very thing with God’s Holy Word. He butchered Romans 1:20 in order to support the idea that the church should not only listen to non-believers but should allow them to lead in the church. His reason…because God made them! Taking the Romans text totally out of context he claimed that “because God’s invisible attribute have been clearly seen through the things which have been made”, we can learn from them and discover God’s truth through them. That totally contradicts scripture. Christ is the head of the church and gives Spiritual Gifts (supernatural abilities) to believers for the building up and edification of the church. How could someone who doesn’t believe God teach you to believe God? Secondly, why would a non-believer even want to teach you to believe God? If Mr. Joiner was willing to give to God the same respect he requested for himself, and not quote him out of context…he would have known the Romans 1 text is explaining why the wrath of God is revealed from heaven against men who suppress the truth in unbelief. And because God’s invisible attributes have been clearly seen through the things He has made…ALL MEN ARE WITHOUT EXCUSE. After using this material for years…I will say it is nothing more than basic humanism. It is my sincere prayer that Mr. Joiner would spend some real quality time in the Word of God and make sure what he is selling is biblically accurate. Or take it off the market as biblical material. While it concerns me greatly what these children are being fed…it is also very sad to think of the judgment that will come to those who cause one of His little ones to stumble. Do you who say you believe the Lord not believe that He will fulfill every jot and tittle?